Probate is a legal system that involves the study of a will or estate upon death of an individual. Put simply, probate legally establishes the validity of a will before a judicial authority. Probate has an essential role when dealing with assets and beneficiaries. The procedure allows for analysis of any wills, notification of heirs, appointment of executors and disposition of property. In New York, probate is the first step in the long process of handling the assets of those who have passed away. Initiation of probate occurs in the decedent's legal county of residence at the time of death. A representative of the decedent presents the original will. The will identifies the name of the estate executor, the person chosen to handle the affairs after death. If lieu of a will, the court appoints an administrator to handle the estate, this will be either a relative or a neutral party. The authority of the executor or administrator only extends to the probate estate. The executor files a Petition for Probate of Will and Appointment of Executor with the courts. A certified copy of the death certificate is present at this time. The will of the decedent becomes public record once probated. Notification of the decedent's death and the initiation of probate goes out to all heirs. The executor obtains signed waivers from each heir stating they do not object to the will. Any heir who does not sign a waiver is notified of a required time and date to appear in court. Review of objections occurs at this time. The judge may uphold the current will, revert to a previous will or reject the document entirely. If rejected, the New York interstate laws determine distribution of assets to beneficiaries. Many factors involved in probate impact the system. A backlog of cases, notification of heirs and hashing through objections to the will may prolong the process. Probate completes with executor approval and documentation supplied to verify the estate. At this point, the process moves from probate to estate administration. During administration, the collection of assets, paying of debts and filling of taxes completes before any distribution to beneficiaries occurs. Ferrara, Darla. "Probate Process in New York." 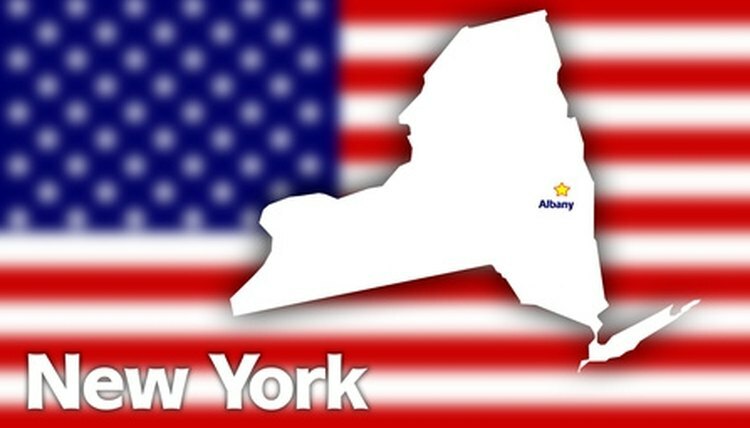 , https://legalbeagle.com/6185506-probate-process-new-york.html. Accessed 21 April 2019.